Singapore has the world’s “most powerful” passport, according to a global ranking topped for the first time by an Asian country. India ranked at 75th position, three notches better than its previous ranking. According to the ‘Global Passport Power Rank 2017’ by global financial advisory firm Arton Capital, Germany is ranked second, followed by Sweden and South Korea in third place. Chile has been named the best country to visit next year by Lonely Planet in its ‘Best in Travel 2018’ list. South Korea and Portugal have ranked second and third respectively, while Djibouti and New Zealand have completed the top five. The other countries featured on the list are Malta, Georgia, Mauritius, China and South Africa. Indian Naval ship Sukanya reached Belawan port, Indonesia to take part in the 30th edition of CORPAT (Coordinated Patrol) and third Bilateral exercise between the Indian and Indonesian navies. The exercise is aimed at fostering closer maritime ties with countries located on the rim of the Indian Ocean. Prime Minister Narendra Modiinaugurated a global conference on consumer protection in New Delhi. This is the first time that an international conference on consumer protection is being organized by India for countries of the region. The conference is deliberated upon steps taken by Asian countries to implement the UN guidelines on consumer protection as well as challenges faced by consumers of financial services and e-commerce. Twenty-two countries from East, South and South-East Asia are participating in the international conference. These include China, South Korea, Singapore, Bangladesh and Sri Lanka. 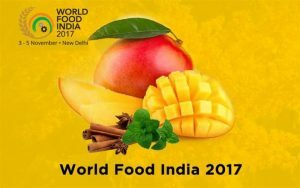 Odisha will be the ‘Focus State’ in the World Food India (WFI)-2017,the international food event to be held at New Delhi from 3 to 5 November 2017. More than 200 global companies from 30 countries would participate in the World Food India-2017. Odisha will be the ‘Focus State’ in the event. Odisha would set up its own Pavilion with 12 stalls. It would showcase various processed food items of Odisha like spices, cashew, confectionary items, processed agro-food, and seafood. The deadline for mandatory linking of Aadhaar to avail benefits of various government schemes would be extended till March 31 next year, the Centre told the Supreme Court. It told a bench headed by Chief Justice Dipak Misra that the deadline for Aadhaar linking to avail benefits of the schemes was to end in December and it has now been decided to extend it till March 31, 2018.